A day set aside to honor organized labor unions. 'solidarity' is a big word for them and is used even in other languages. the last day of a three day weekend. ususally summer vacation for the kids is over by then. it is the last day that most public swimming pools are open. it is the time for big retail sales. Oddly, halloween (oct 31) and christmas (dec 25) decorations become available this weekend. Labour Day (Labor Day in the USA) is an annual holiday to celebrate the achievements of workers. Labour Day has its origins in the labour union movement, specifically the eight-hour day movement, which advocated eight hours for work, eight hours for recreation, and eight hours for rest. The origins of Labor Day can be traced back to the Knights of Labor in the United States, and a parade organized by them at that time on September 5, 1882 in New York City. In 1884 another parade was held, and the Knights passed resolutions to make this an annual event. Other labour organizations (and there were many), but notably the affiliates of the International Workingmen's Association who were seen as a hotbed of socialists and anarchists, favoured a May 1 holiday. With the event of Chicago's Haymarket riots in early May of 1886, president Grover Cleveland believed that a May 1 holiday could become an opportunity to commemorate the riots. But fearing it may strengthten the socialist movement, he quickly moved in 1887 to support the position of the Knights of Labor and their date for Labor Day. The date was adopted in Canada in 1894 by the government of Prime Minister John Thompson, although the concept of a Labour Day actually originated with marches in both Toronto and Ottawa in 1872. On the other hand, socialist delegates in Paris in 1889 appointed May 1 as the official International Labour Day. 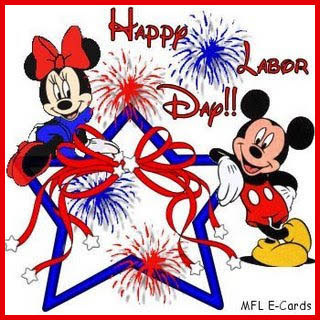 Labor Day has been celebrated on the first Monday in September in the United States and Canada since the 1880s. The September date has remained unchanged, even though the two governments were encouraged to adopt May 1 as Labor Day, the date celebrated by the majority of the world. Moving the holiday, in addition to violating U.S. tradition, could have been viewed as aligning U.S. labor movements with internationist sympathies. 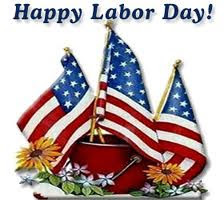 Labor Day has come to be celebrated by most Americans as the symbolic end of the summer. In high society, Labor Day is (or was) considered the last day of the year when it is fashionable to wear white or seersucker. Most other countries celebrate Labour Day on May 1, known as May Day. In Europe the day had older significance as a rural festival, but over time it has been replaced by the labour connotations of the holiday. The holiday has become internationalized and several countries hold multi-day celebrations including parades, shows and other patriotic and labour-oriented events. In Germany, Labour Day was established as an official holiday in 1933 after the NSDAP rose to power. It was supposed to symbolize the new found unity between the state and the working classes. Ironically, just one day later, on May 2 1933, all free unions were outlawed and destroyed. But since the holiday had been celebrated by German workers for many decades before the official state endoresement, the NSDAP attempt to appropriate it left no long-term resentment. In Australia, Labour Day is October 1 in the Australian Capital Territory, New South Wales and South Australia. In the Northern Territory it is called May Day but (unlike in most other countries with such a holiday) occurs on May 5, not May 1. In Victoria it is the second Monday in March, and March 1 in Western Australia and Tasmania (the latter calls it Eight Hours Day). In New Zealand, Labour Day is a public holiday held on the 4th Monday in October. Its origins are traced back to the 8 hour working day movement that arose in the newly founded Wellington colony in 1840, primarily because of carpenter Samuel Parnell's refusal to work more than 8 hours a day. He encouraged other trademen to also only work for 8 hours a day and in October 1840 a workers meeting passed a resolution supporting the idea. On 28 October 1890, the fiftieth anniversary of the 8 hour day was commemorated with a parade. The event was then celebrated annually in late October as either Labour Day or Eight-Hour Demonstration Day. In 1899 government legislated that the day be a public holiday from 1900. The day was celebrated on different days in different provinces. This led to ship-owners complaining that seamen were taking excessive holidays by having one Labour Day in one port then another in their next port. In 1910 the government "Mondayised" the holiday so that it would be observed on the same day throughout the nation. on Labor Day weekend . . .
***** . Bumbershoot festival .
. Kigo Calendar - September .